On 19 June 2012, Naturewatch Foundation was invited to meet with Deputy Mayor of Chişinău Municipality in order to discuss how Naturewatch Foundation can assist and support the Chişinău Municipality to humanely and sustainably manage its stray dog population. Following this meeting Naturewatch Foundation undertook an official count of the stray dogs and carried out an opinion poll surveying 1037 Chişinău citizens in order to discover attitudes towards stray dogs. During our first visit to Chişinău, Naturewatch Foundation was told there are 30,000 stray dogs. However, after conducting a count of the stray dogs, it was discovered there are no more than 5000 stray dogs in the entire city. 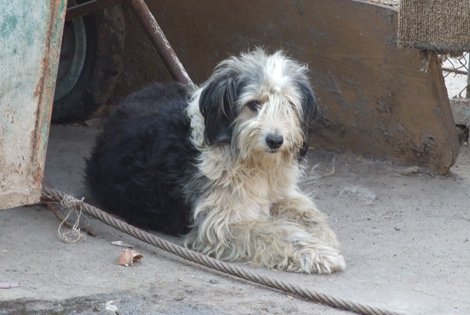 Based on the results of the two surveys, Naturewatch Foundation is confident that Chişinău’s stray dog population can be managed using a capture, neuter and release programme. In order for this to be effective however, it must be carried out in conjunction with a pet sterilisation programme and responsible pet ownership education. If measures are taken now to address the growing problem of stray dogs, Chişinău Municipality will avoid the problems that municipalities are currently facing in Romania, Bulgaria and Ukraine.